Last week I met with Carsten Rachfahl who is a MVP for Virtual Machine and the owner of hyper-v-server.de. Carsten was visiting Switzerland and he also took the time to do some interviews and I had the chance to speak with him. In the interview (in german) we talked about the new release of Hyper-V which is included in Windows Server 2012. You can watch the interview in better resolution on it-cast.de. If you are interested in my sessions about Hyper-V 2012 and other great Private Cloud session covering Windows Server 2012 and System Center 2012 checkout the Geekmania 2012 website. 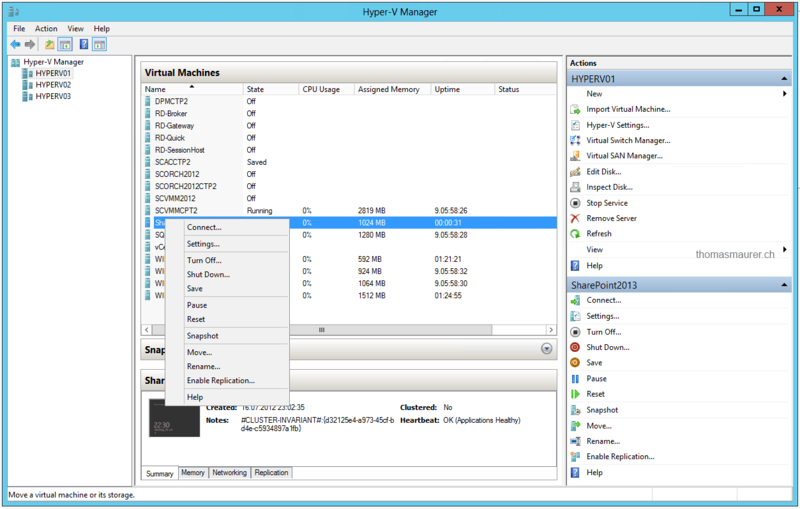 In Windows Server 2012 Microsoft introduced a new feature called Hyper-V Replica. In my opinion Hyper-V Replica is a true Game Changer, something like the forward pass in football or the slam dunk in basketball. In my interview with Carsten Rachfahl from hyper-v-server.de I mentioned that I think a lot of customer will choose Hyper-V Replica as Disaster Recovery solution. 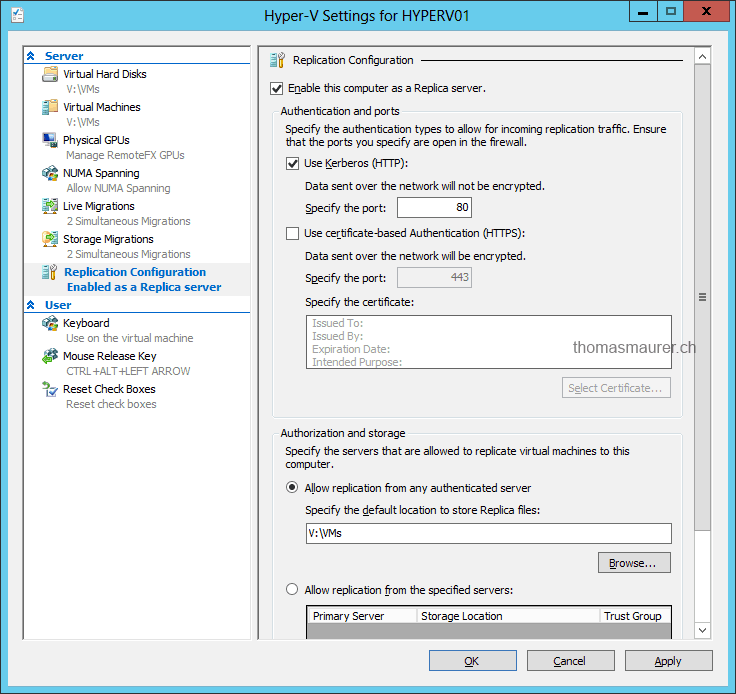 What is Hyper-V Replica and how does it work? 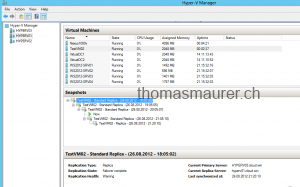 What is Hyper-V Replica and how does it work. With Hyper-V Replica it is possible to replicate Hyper-V Virtual Machines from a Hyper-V host to another Hyper-V host or cluster. The great thing about it is that Hyper-V Replica is optimized for replication over WAN. This allows companies to replica Virtual Machines from a primary site to a secondary site, and in case of a disaster on the primary site, Virtual Machines can be failed over to the secondary site. 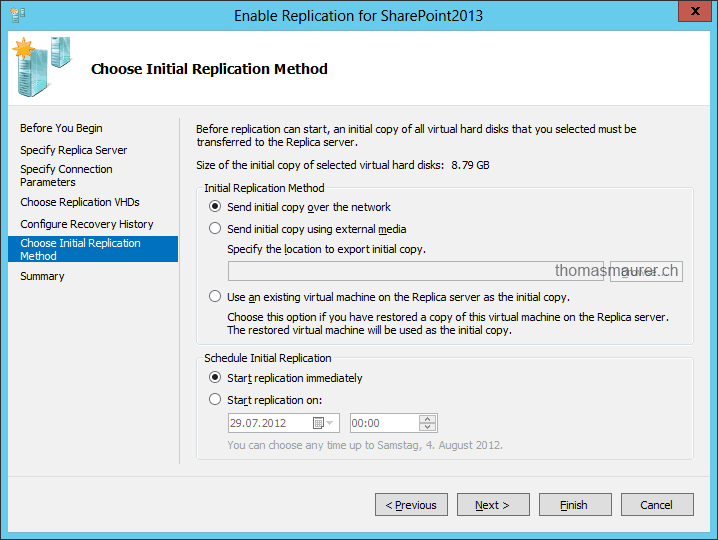 The replication is done per virtual machine, so you can also replicate VMs to two or more different locations. 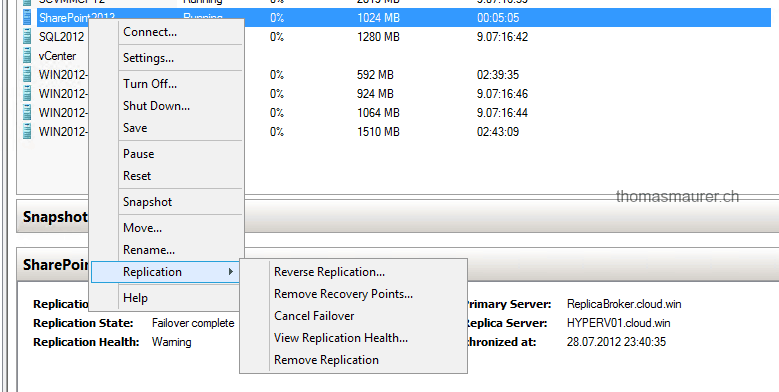 Hyper-V Replica is an asynchronous replication, Hyper-V Replica will do a initial replication of the Virtual Machine and after that changes will be replicated every 5 to 10 minutes. 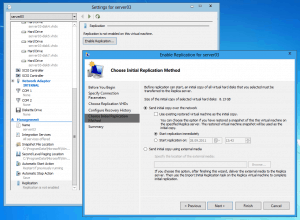 To allow the Hyper-V host to send and receive virtual machine replications you have to enable the Hyper-V Replica feature and configure the Windows Firewall. 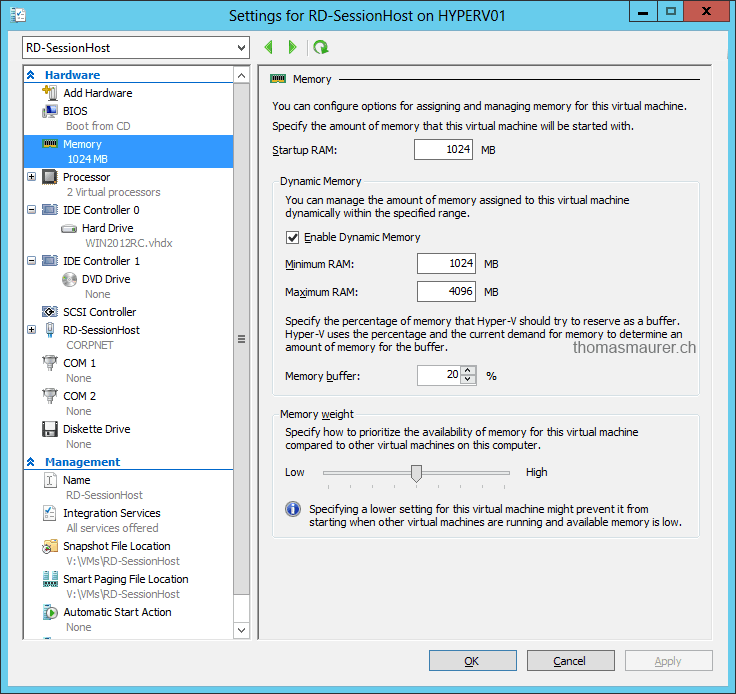 Hyper-V Replica can be enabled via Hyper-V Manager in the Hyper-V settings. You can setup different replication settings such as which hosts can replicate to this server or which port is used for the replication and whether HTTP or HTTPS should be used. After you have enabled Hyper-V Replica you have to open the Windows Firewall ports for Hyper-V Replica. You can simply enable the rules in the Windows Firewall settings. You can also enable this firewall rules via Windows PowerShell. 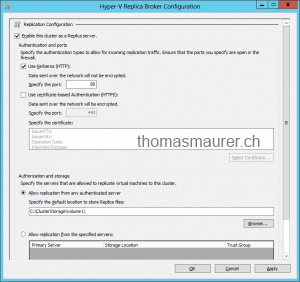 To allow the Hyper-V Cluster to send and receive virtual machine replications you have to enable the Hyper-V Replica Broker role in the Hyper-V Cluster and configure the Windows Firewall on each host. The Hyper-V Replica Broker role enables the failover cluster to participate in virtual machine replication with Hyper-V Replica. 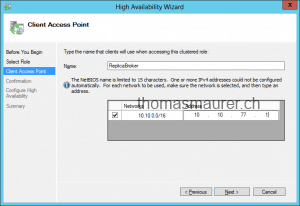 You cannot replicate to a single host which is used in a cluster, you can only replicate to the Hyper-V Replica Broker. 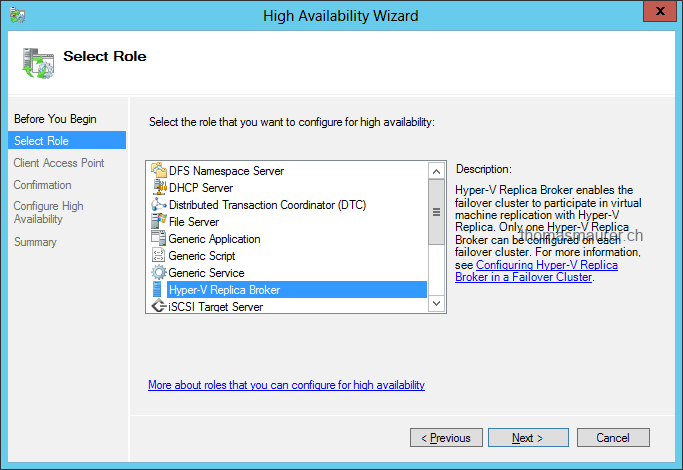 First the Hyper-V Replica Broker cluster role has to be added. 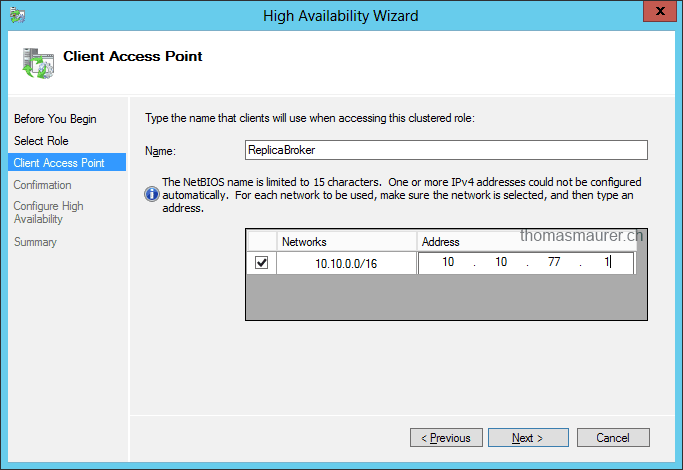 The Hyper-V Replica Broker needs a own IP in the same subnet as the cluster. 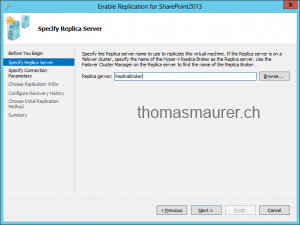 The Name of the Replica Broker role will be used as target to replicate virtual machines. This can of course also be done via Windows PowerShell. 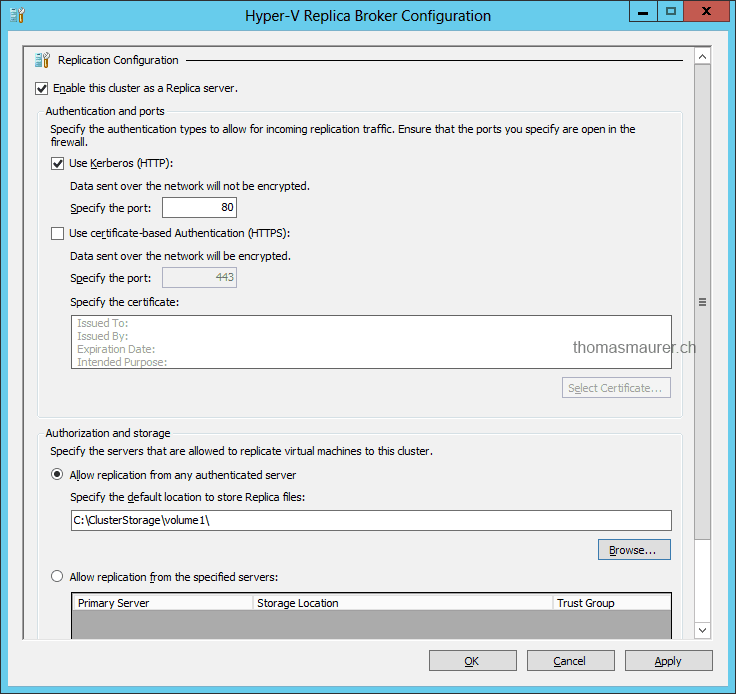 After you have added the Hyper-V Replica Broker role in the Cluster you have to enable Hyper-V Replica and set it up like the standalone Hyper-V host. 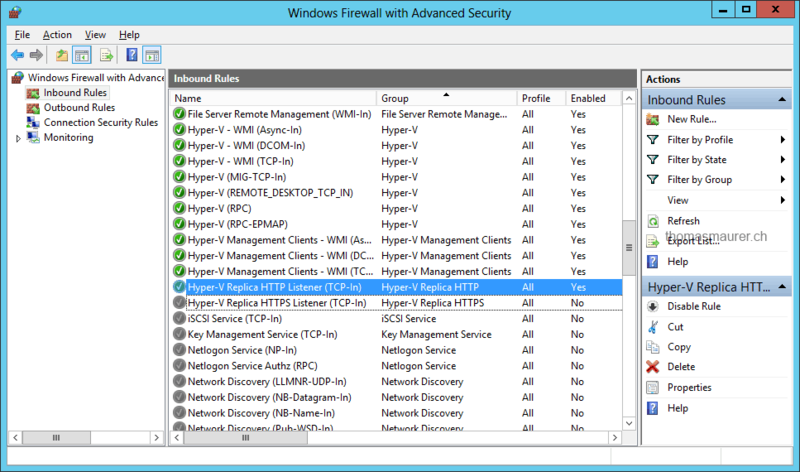 After you have configured the Hyper-V Replica Broker settings you also have to enable the Windows Firewall rules. 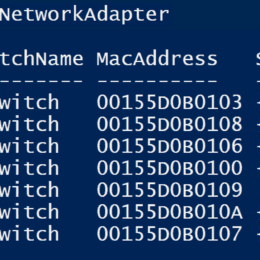 This Windows PowerShell command will help you to configure the Firewall rule on every node in the cluster. 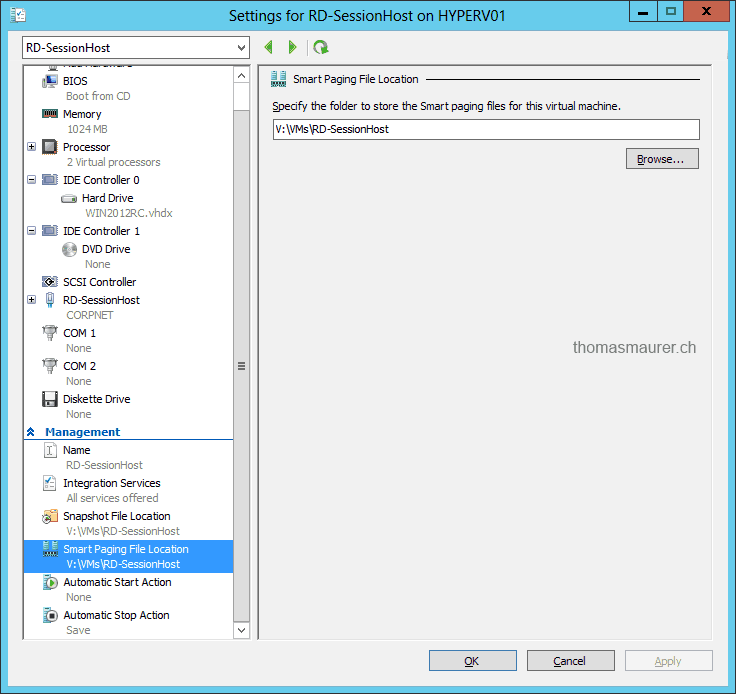 After you have enabled Hyper-V Replica on the source Hyper-V host/cluster and destination Hyper-V host/cluster you can setup the virtual machine to replicate. 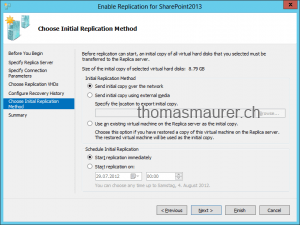 Right click the virtual machine and “Enable Replication”. 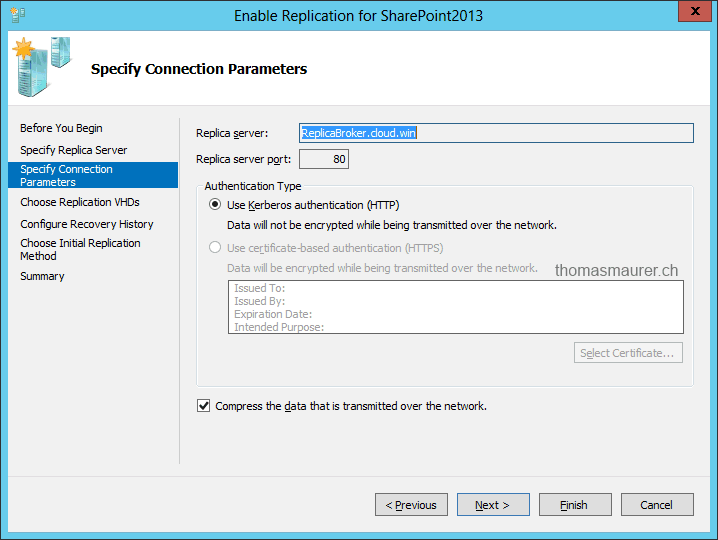 Specify the Replica server name to use to replicate the virtual machine. 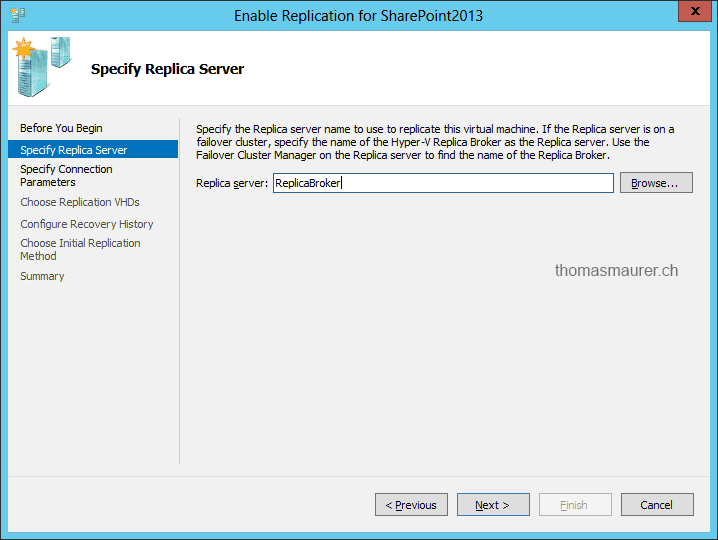 If the Replica server is on a failover cluster, specify the name of the Hyper-V Replica Broker as the Replica server. You can specify the connection parameters and set up compression for the transmitted data. 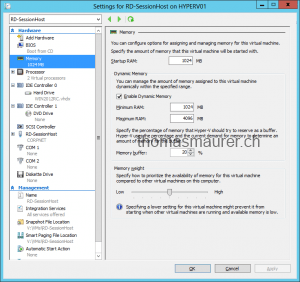 You can choose which VHDs of the virtual machine should be replicated to the destination. Configure the Recovery History, this allows you to choose from different recovery points when you start a failover. Configure the Initial Replication Method. You could also move the initial replication copy via external hard drive to the destination. After you have started the replication, Hyper-V Replica will start with the initial replication of the virtual machine, and the virtual machine will also be visible on the destination Replica server. To check the Replication State and the Replication Health you have a variety of options. 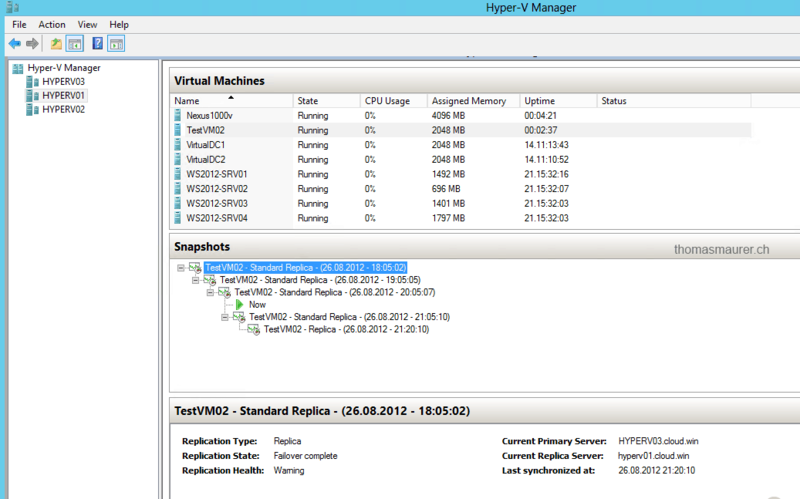 First in the Hyper-V Manager you can see the Replication State of the virtual machine. 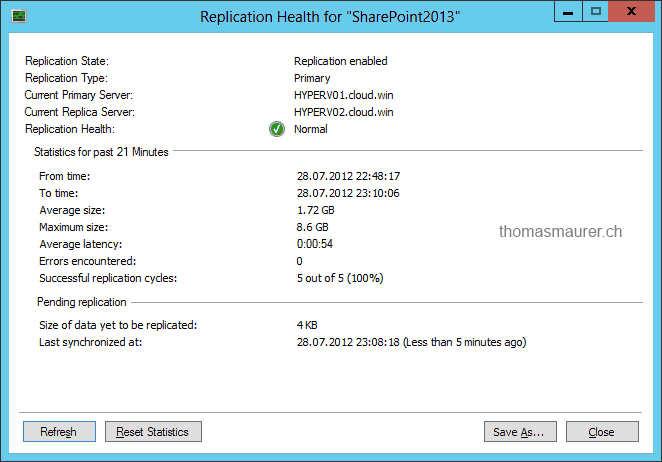 You can also right click on the virtual machine and view the replication health, state and other interesting information. You can also use Windows PowerShell to get information about the virtual machine replication state and health. 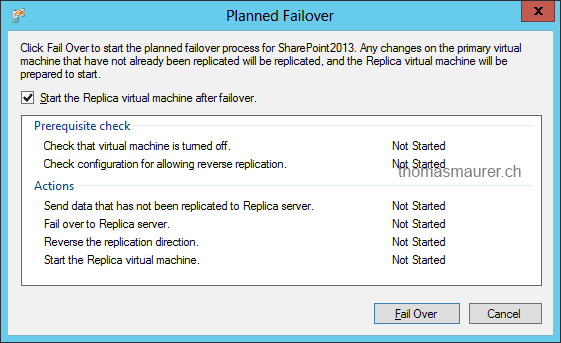 Now after the replication is setup you have different failover options for the virtual machine. 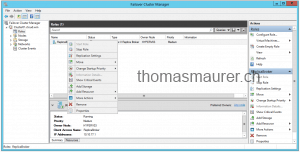 This options allow you to do different failover scenarios. A Planned Failover is a solution if both sites are still available it is also possible to migrate the virtual machine from on datacenter to another datacenter. A planned failover basically shuts down the source virtual machines, replicates all the latest changes and after all changes are replicated to the recovery site the virtual machines on the recovery site will start with no loss of data. The primary server will automatic change to the Replica server and the Replica server will change to the primary server. If you want to test the virtual machine on the recovery site you can use this feature. This will create a copy of the virtual machine on the recovery site which can be used for testing without interrupting the replication. You can also set the copy of the virtual machine to connect to another virtual switch or to be not connected so no IP address conflict will happen. 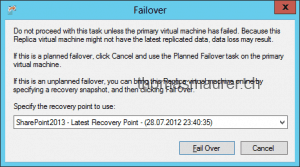 The Failover option will be used on the recovery site during a disaster where the primary site is down. This will start the virtual machine on the recovery site and the administrator will have to choose the latest recovery point. Data between the disaster recovery and the latest recovery point will be lost. 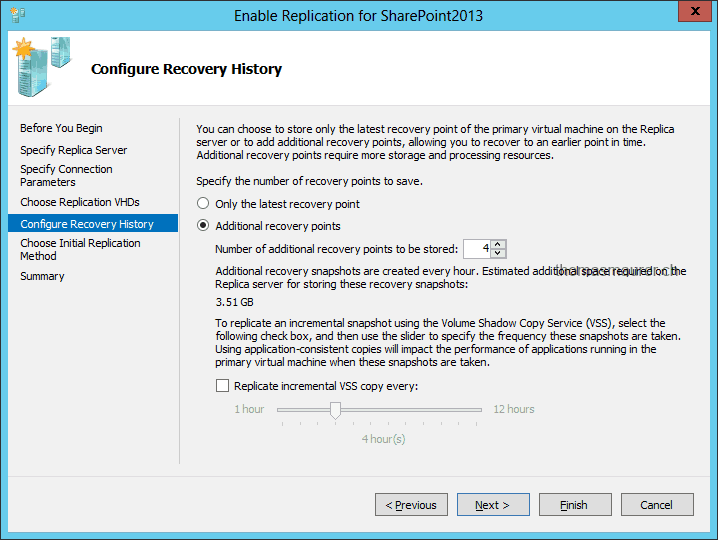 $VM = Get-VM -Name "SharePoint2013"
There is also a possibility to inject another IP address configuration on the recovery site. 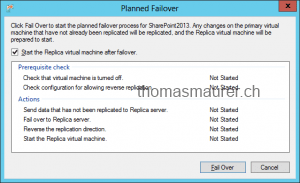 After you have selected a Recovery Point for the Failover, the other Recovery points are still available as snapshots for this Virtual Machine. 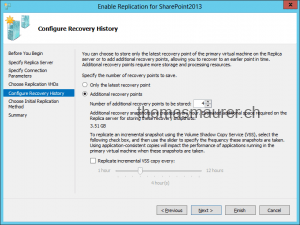 if the first Recovery Point is not working correctly you can choose another Recovery Point. Now a lot of disaster recovery solutions are easy to failover but how can you to a failback of your workload? In Hyper-V replica this is pretty easy. After a unplanned Failover the primary server is still the same and the virtual machine is now running on the recovery server. Now to failback a virtual machine with the latest data you reverse the replication so the primary server changes to the recovery server and the recovery server where the virtual machine is running after the failover will be the primary server. Now the virtual machine will be replicated in in the other way. 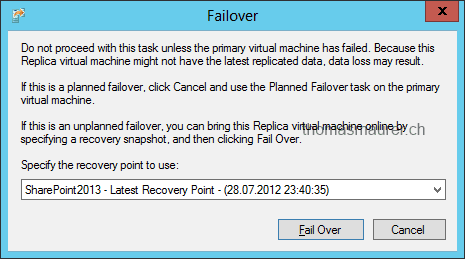 To do failback of the virtual machine back without losing data you can now do a planned failover. 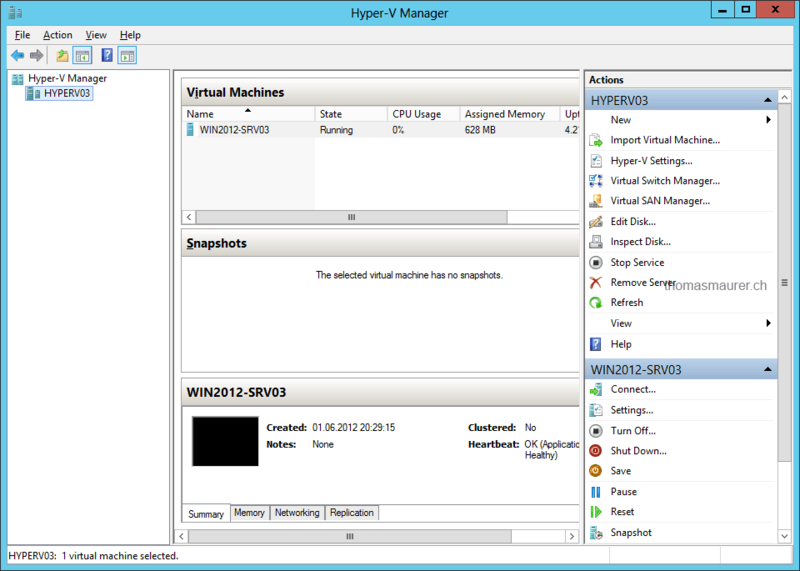 I hope this post shows you how great Hyper-V Replica is and how easy to setup it is. If you have any question about Hyper-V Replica you should check out Microsoft TechNet or use the comment function on this post. This is another post in my series about Hyper-V vs. VMware. This time it is about storage in terms of virtualization. And as you could read everywhere, Microsoft did also a lot of improvements for the Windows Server 2012 release. Okay I admit it, the title is more a reference to a song than a true fact, because my first contact with the latest Hyper-V release was last September. Last September Microsoft showed the newest release of Hyper-V at the build conference. Back then I wrote a blog post about the new version of Microsoft Hypervisor Hyper-V called “Hyper-V: Version 3 kills them all“. Now Microsoft released the Windows Server 2012 and Microsoft Hyper-V 2012 Release Candidate last week. They made a lot of changes since September 2011 and I tried to show this in another blog post (What’s new in Windows Server 2012 Release Candidate Hyper-V: Scale). With these changes I decided to upgrade my blog post from September 2011 with the latest changes made with Windows Server 2012 Release Candidate. Storage improvements – SMB 3.0, SMB transparent Failover, data de-duplication, Storage Spaces, online filesystem repairs, 64TB NTFS volumes, ReFS volumes, etc. 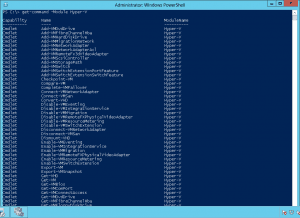 PowerShell v3 – You can now just do everything in PowerShell and even more with 23000 PowerShell cmdlets. Server Dashboard – The new Dashboard lets you manage all servers, or even better, all Services from one place. The Hyper-V Host gets a lot of improvements in terms of features and scale. Microsoft did a lot to extend the existing Virtual Machine hardware to support even high workload Virtual Machines. Most of the time you were talking with VMware consultants, they tried to say that Hyper-V is not made for Enterprise workloads. 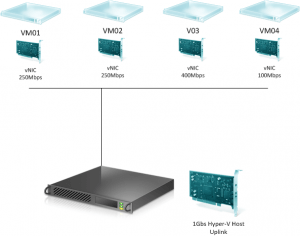 Now with the release of Hyper-V 2012 scale should not be an argument anymore. Hyper-V got a lot of improvements in terms of networking. Microsoft realized that networking features are really important if you start to create private and public cloud scenarios and now even create a mix of public and private cloud scenarios without creating a lot of work for the IT teams to reconfigure Virtual Machines. 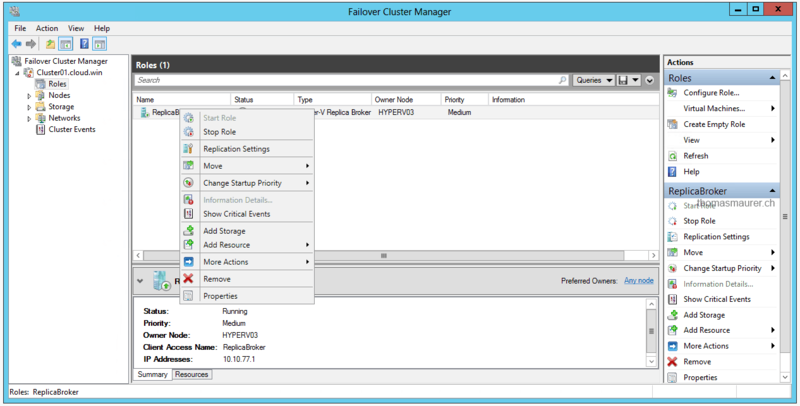 Hyper-V gets also a lot of Cluster improvements. Microsoft is working on Cloud solutions which will give great availability to low cost. 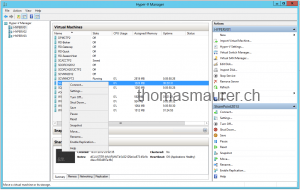 For example Hyper-V Replica or Shared-Nothing Live Migration, which allows you to move a Virtual Machine from one Hyper-V host to another host over the Ethernet without the need for a shared storage or a Cluster. A I mentioned earlier Microsoft made a lot of improvements in terms of storage in Windows Server 2012 and Hyper-V can take advantage of those which are quiet impressive. For example with the new features in SMB 3.0 you can now use SMB file shares to store your Virtual Machines. 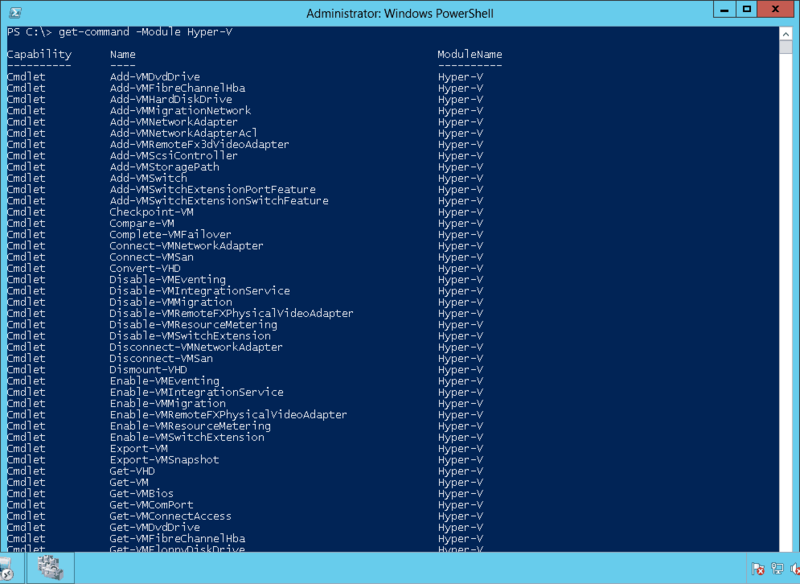 As everywhere in Windows Server 2012 PowerShell is the key. 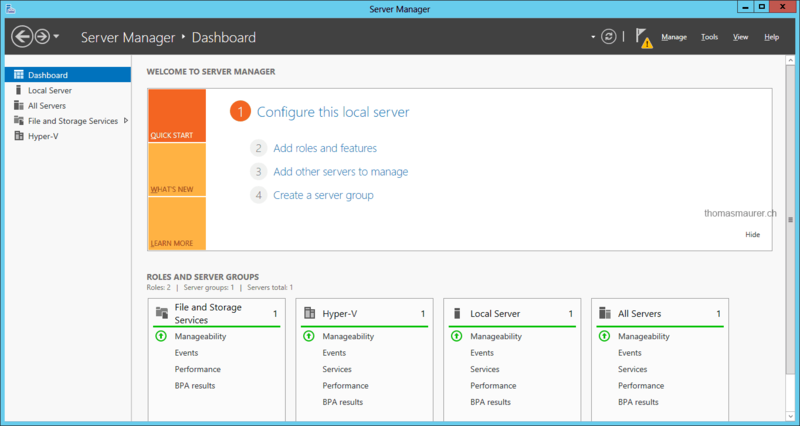 And the new Server Manager Dashboard Microsoft enables to create Server Groups to manage multiple servers from a single console. 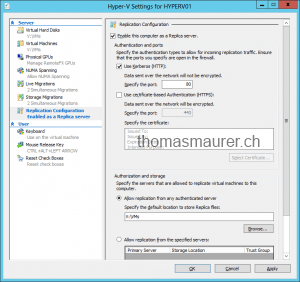 Hyper-V Extensible Switch – lets vendors to create “plugins”. 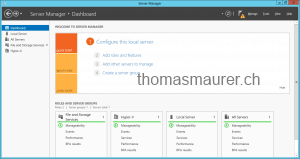 Server Manager Dashboard – lets you manage multiple Hyper-V hosts from a single console. 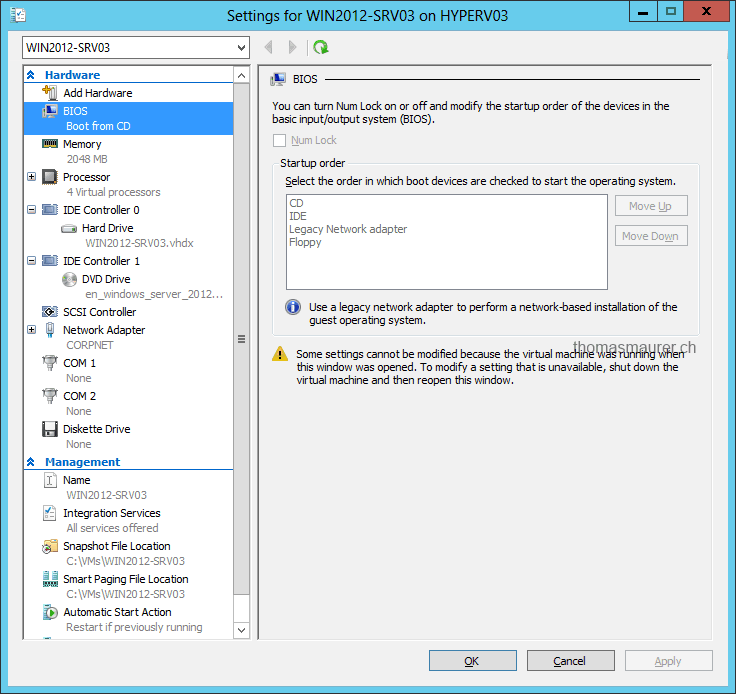 System Center Virtual Machine Manager 2012 SP1 – not a part of Windows Server 2012 but will add great management solutions. Now I think this is maybe the greatest new feature. You can migrate Virtual Machines from one Hyper-V Host to another without Shared Storage or Cluster configuration. This feature is called Shared-Nothing Live Migration. Microsoft also included a new feature called Hyper-V Replica which includes the option to replicate Virtual Machine to another host which can be hosted in the same datacenter, secondary datacenter or even in the cloud. Hyper-V Replica – Replicated Virtual Machines to another Hyper-V host on-premise or public cloud over LAN or WAN connections. You can get more information and the download link about Windows Server 2012 Release Candidate and Hyper-V Server 2012 Release Candidate. The Windows Server Team and especially the Hyper-V Team did a great job, and I am sure Hyper-V will gain significant market share in the future. This is a quick list of all the downloads Microsoft made available with the release of the Windows 8 Release Preview and Windows Server 2012 Release Candidate. 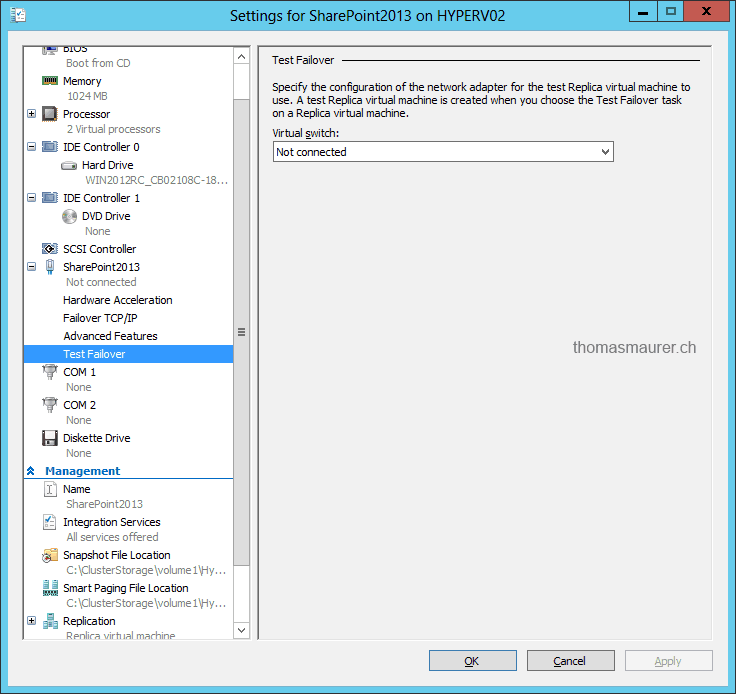 You should also checkout my blog posts about Windows Sever 2012 and Hyper-V.